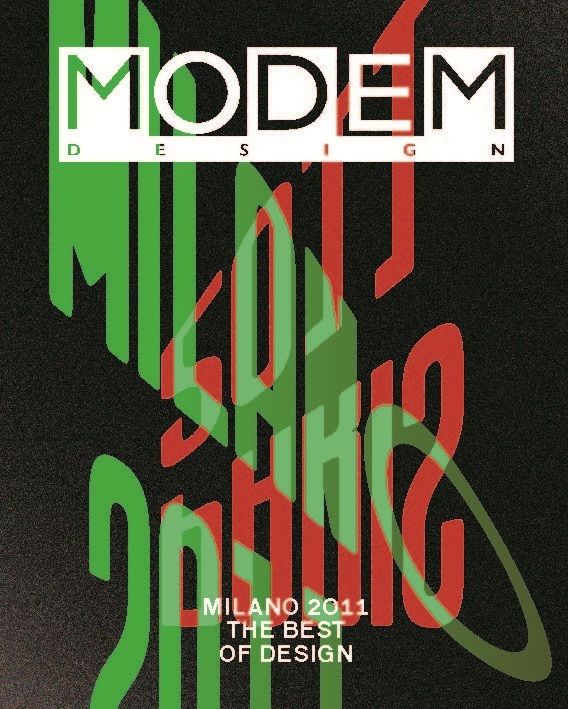 The cover of the 9th edition of MODEM DESIGN MILANO 2011 was designed by deValence Studio. Founded in October 2001 by Alexandre Dimos and Gaël Etienne, who were later joined by Ghislain Triboulet in 2007, it is a matter of principle for deValence Design Studio to develop a unique approach in every field of graphic design, visual communication and typography. Dedicated to expressing every project’s uniqueness as well as the variety of commands, their work is also based on a careful comprehension of distribution contexts. Thus, refuting the traditional concepts of graphic styles, their visual suggestions respond to specific problematics. They design – both graphically and editorially – Marie Louise, a graphic and typographic design magazine. This project, that became Back Cover in 2008, accounts for one of the studio’s major occupations. At the same time, brainstorming on the practical experience of design with international graphic artists constitutes an important part of the studio’s activity. DeValence also regularly runs workshops and debates in art schools. Creating digital applications is also a part of their work. They developed pictograms for Parrot and built a website for designer Martin Szekely. For some projects, they even created their own « typographic » work tools (Data Grotesk). Finally, they pay particular attention to typographical management, which is a fundamental element of marketing and communication.